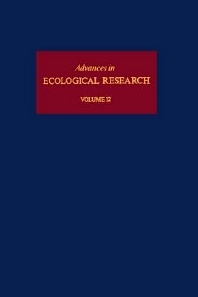 Advances in Ecological Research, first published in 1962, is one of Academic Press's most successful and prestigious series. In 1999, the Institute for Scientific Information released figures showing that the serial has an Impact Factor of 9.6, with a half life of 10.0 years, placing it 1st in the highly competitive category of Ecology. The Editors have always striven to provide a wide range of top-quality papers on all aspects of ecology, such as animal/plant, physiology/population/community, landscape and ecosystem ecology. Eclectic volumes in the serial are supplemented by thematic volumes on such topics as Estuaries and Ancient Lakes. Now edited by Dr Hal Caswell, of Woods Hole Oceanographic Institution, Advances in Ecological Research continues to publish topical and important reviews, interpreting ecology as widely as in the past, to include all material that contributes to our understanding of the field.